Sri RamNavami, Happy Birthday to Lord Rama, celebrated during the Tamil month Chitrai(14th April - 14th May) on the 9th day following the New Moon. 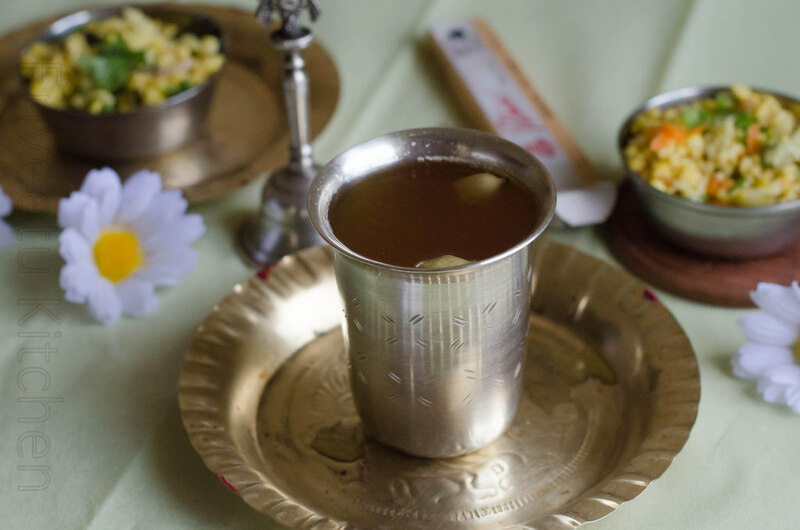 The Offering/Neivedhiyam to Lord is Simple/Humble Panagam or Jaggery Water, Butter Milk and Moong Dal Salad. Both the recipes makes a Delicious and healthy Snack anytime. 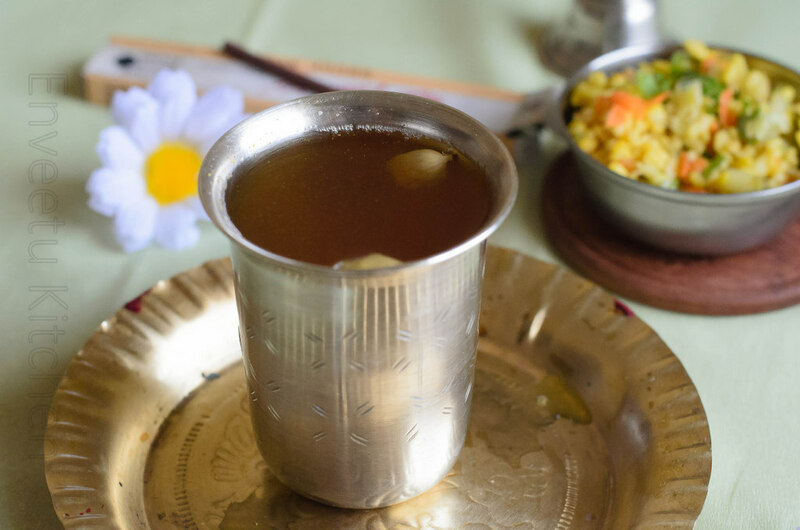 In a Bowl, add Jaggery, Water, Dry Ginger Powder, Lemon juice(if adding),Let it sit for 15-20 minutes, until jaggery dissolves completely in the water. Using a Strainer, strain the jaggery water into another bowl, add the crushed cardamom and mix well. Soak Moong Dal in 1/4 Cup Water for an hour. By this time, the dal would have absorbed most of the water and become soft. Now, Drainthe excess water completely. Take the dal in a bowl, heat oil given under tempering,add mustard seeds and let them splutter, add the chopped green chillies, curry leaves, hing and turmeric. 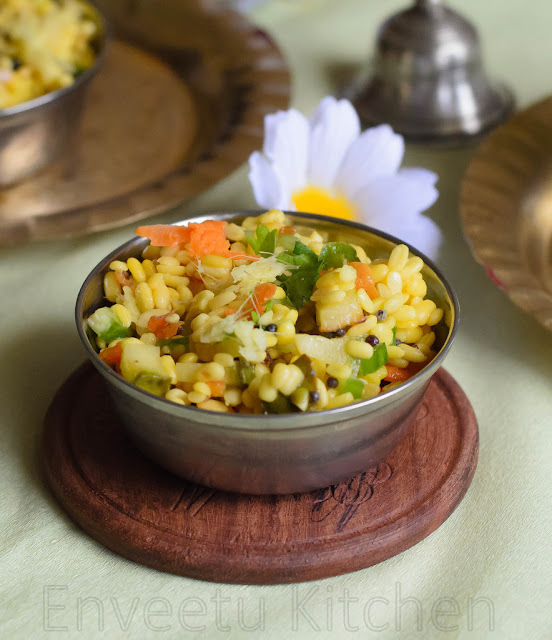 Pour the sizzling tempering over the dal, add the freshly grated coconut and adjust the salt and mix well. 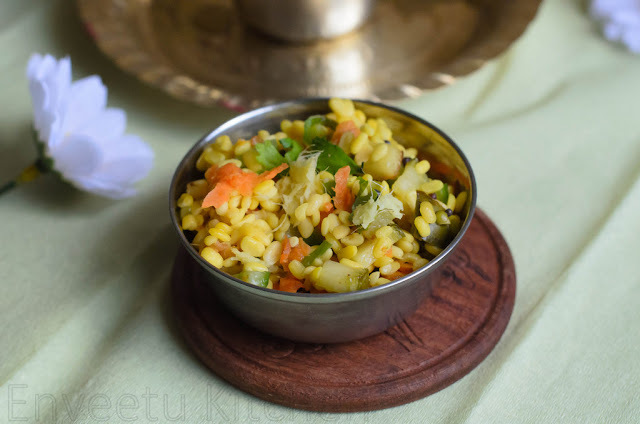 Traditional Neivedhiyam/Offering for Ram Navami doesn't include the additional dressings. If you prefer to add, then you can also include grated carrot, raw mango and chopped cucumber to the above tempered Dal and make a Delicious and Filling Salad that makes a yummy and healthy snack. Super Priya.. Both look just perfect.. Paanakam brought back memories of childhood.. Have been seeing many bloggers post it.. now I am tempted to make some as well! delicious and thanks for sharing. Ram navami wishes, both panagam and vada pappu looks great. 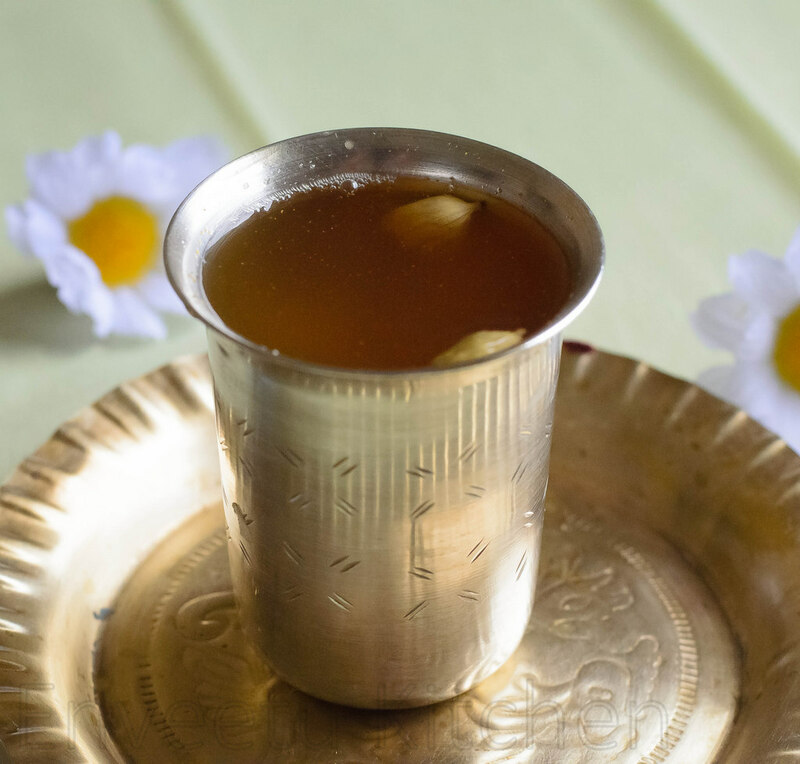 Thanks so much Priya for sharing this on our magazine - there has been a lot of queries regarding this drink - many are asking whether there is any restaurant in Dubai where they can get this? But sorry this drink is not served in restaurants. It is actually made as part of ram navami celebrations.